Allergen advisory statements for wheat on products not labeled gluten-free but appearing to be free of gluten-containing ingredients were NOT a useful predictor of gluten content. In the US, allergen advisory statements are voluntary and are not currently defined by any federal regulation. The FDA continues to state in recently updated guidance that allergen advisory statements must be truthful and not misleading. There is very little published data on whether precautionary statements for wheat or gluten (for example, Made in a facility that also processes wheat) are helpful to consumers with celiac disease when deciding if a food is appropriate to eat. 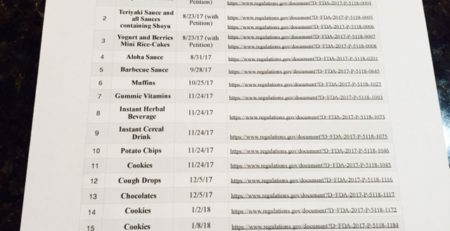 In this analysis, labeling information compiled for 101 products tested for gluten content through Gluten Free Watchdog, LLC was retrospectively reviewed for an allergen advisory statement for wheat, gluten or both. 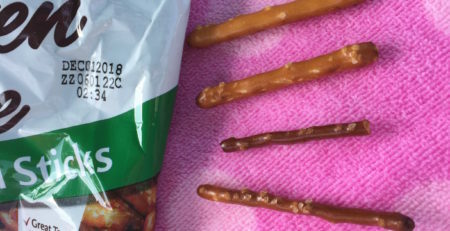 Products reviewed for this analysis were not labeled gluten-free but appeared to be free of gluten containing ingredients based on a review of the ingredients list (that is, no wheat, barley, rye, malt, brewer’s yeast). 87/101 products tested for gluten did NOT include an allergen advisory statement for wheat or gluten on product packaging. Fourteen products tested for gluten DID include an allergen advisory statement for wheat or gluten on product packaging. Ideally, allergen advisory statements should be used by manufacturers to help consumers make choices about which foods they can eat given their particular health constraints. The FDA should strongly consider regulating allergen advisory statements, especially in light of the Food Safety Modernization Act. We read your note about the passing of our dear Suzanne. All of us here at Everybody Eats and really sad. She helped us to develop our well know Multigrain Bread. Our breads have been tested recently at ELISA Technologies, Inc., and they have less than 5 ppm of gluten. Thank you for doing this research and for taking the time and energy to have it published. This is a HUGE problem in my practice and I am very frustrated by these “may contain” or “processed in a plant…..” statements. It gives the consumer absolutely no meaningful information , only doubts. My pleasure, Carrie. Thank YOU and all the supporters of Gluten Free Watchdog who help make this research possible. The first statement in your article is very misleading. As of 2004 the FDA requires food labels to declare allergens. Requires means not voluntary. 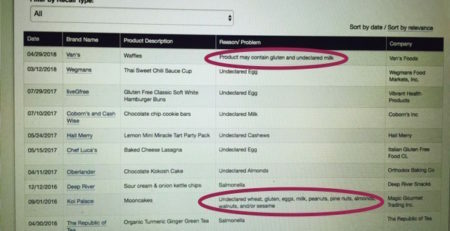 Food manufacturers can have the allergen listed in the ingredient list or they can a “contains” statement. 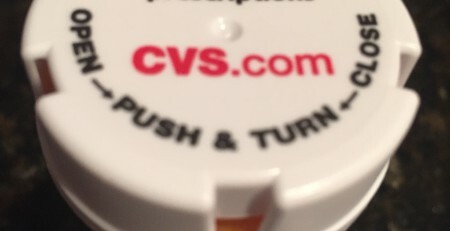 The contains statement is voluntary if the allergen is clearly stated in the ingredient list. Please see the Food Allergen Labeling and Consumer Protection Act. I’d also be interested in reading the article to see what testing methods were used because from what I’ve read 20 ppm was the lowest detectable level that is reliable. Am I misinterpreting something here? Why are you saying allergy declaration is voluntary? What are you considering an allergy advisory statement? Please see response to your previous comment. Allergen advisory statements/may contain statements/precautionary statements are voluntary. Please read the article in full. A link to a complimentary pdf is included at the beginning of the post and also pasted here http://rdcu.be/kl1j (please cut and paste into your browser or click on the link in the post). Allergen advisory statements (also known as “may contain statements”) are not the same as FALCPA. Under FALCPA foods regulated by the FDA that include an ingredient that is or contains any of the top 8 allergens (including wheat) must include the name of the allergen in plain English either in the ingredients list or Contains statement. Allergen advisory statements (e.g., processed in a facility that also processes wheat) are voluntary and not currently regulated. Product testing is done using the fully validated R5 ELISA Mendez Method. This is one of the methods the FDA has stated they will use to assess compliance with the gluten-free rule when necessary. It is also a Type 1 method of Codex. The lower limit of quantification is 5 ppm. More information about testing is included in the article. Matt, are you an RD? If you are attending FNCE, please come to the session on Tuesday morning at 8 am (Hot Topic: FDA’s Proposed Rule for Gluten-Free Labeling of Hydrolyzed/Fermented Foods). Carol D’Lima (FDA) and I are presenting. Do you know why FDA states 20 ppm is the lowest detectable limit that is reliable? I am an RD but won’t make it to FNCE this year. I have a family member that was diagnosed with Celiac’s and she introduce me to your website. Thanks for all your work! Let’s just say they have a difference of opinion with the developer of the assay–the late Dr. Enrique Mendez. If you are interested in learning more about testing, I am happy to send you the article I co-authored with Dr. Mendez before his passing. Tricia, I am not an RD; however, I have Celiac Disease, and would, if you will allow, love to read the article that you co-authored with Dr. Mendez. It is on the way to you, Anne. Trisha thank you for your work! 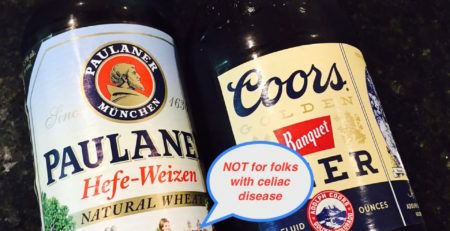 I have celiac disease and find the labelling frustrating and incorrect many times. I was at a GF expo and one of my friends with celiac disease got gluten poisoning. She is sensitive to even 3ppm. I would love to read the paper on the testing you did with Dr Mendez as well. 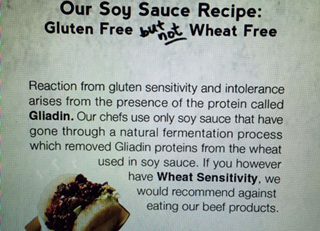 Hi Erin, Please contact me via email info@glutenfreewatchdog.org and I will send you the article.